For all our well-laid plans to write x words or for y hours every day, sometimes real life throws us something unexpected that sends our best intentions and established habits awry. When this happened to British novelist Elaine Moxon, who writes as E S Moxon, she found salvation in collaborating with other authors, reclaiming her writing time and focus little by little, and getting her back on track with her writing goals. 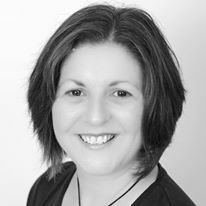 Many thanks to Elaine for sharing her personal and sensitive story here to benefit other indie authors around the world. I spent most of 2017 focusing on close family, as someone needed my help and support. My day job was part-time, but hectic, and began causing friction. It meant that my passion – my writing – had to take a back seat. It also meant that I had to say ‘goodbye’ to my social media presence as I had neither the energy nor the inclination for it. Caring for another became a priority, although at great expense to my own sanity. I quickly realised that you cannot care for others unless you first care for yourself. I have always adored the writing life; the solitude and creative pleasure it gives. I missed my outlet for relaxation and inspiration. I needed to be writing. Although I was not actively being an ‘author’, I still needed to write. I had begun a quarterly writing group at a local community center and was not sure how this would evolve. In the meantime, I was advised to maintain a journal of my caring journey so that I could express my struggles and woes in a healthy way. After a few weeks, I had a little more energy and free mind-space for other writing. I began grabbing my notebook to jot down ideas for the WIP (already one year into production and not yet a first draft finished). I turned to a fellow indie writer friend, who recommended we schedule a weekly pre-fixed date and time to write together. I agreed, as it took me away from the house and my daily stresses. We met regularly, in our favourite coffee shops and garden centres (the latter providing welcomed therapy of milling around the plants after our authorly shenanigans). I took my notebook, then graduated to printed chapters of my WIP. Gradually my mind made space for creativity to once more flow freely and I progressed with the first draft. Even if I never wrote another word all week, I had my Wednesdays with my miniature support network. My companion’s enthusiasm for their own projects seeped into my bones, and I realised my go-get-it had faded somewhat, but was slowly returning. By the second quarterly meeting of my fledgling writing group, I could feel my own enthusiasm growing, able to share my passions with other indies. The winter of 2017 brought with it the realisation that my day job did not fit with the caring I was trying to provide for my family. It was with a heavy heart that I left the position, baffled as to what I could do to replace it. The loss in income was less important than the act of arriving somewhere each morning to ‘do’ something, among other people. Thankfully, my writing Wednesdays were there for me. I wrote a business plan, including personal self-care and family goals, plotting how I could return to being a full-time author around my caring. In addition to the weekly sessions, we scheduled in monthly board meetings to share updates and knowledge on the business side of writing. I also made the decision to increase my writing group to every other month for 2018, which has pleased the attendees. So often, life hurls the unforeseen at us and we lose sight of everything. The windscreen wipers stop amid a snowstorm and we are running blind. My indie author companions became the windscreen wipers for me, until I found the switch to turn them back on myself. And even if we did not always write on those wonderful Wednesdays, or spent most of the writing group sessions eating biscuits, the discussions we had about our writing filled us with ideas and motivation. 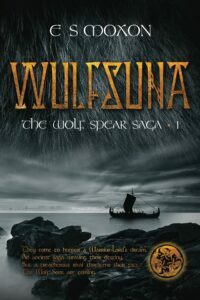 The first draft of my second Wolf Spear Saga is now complete, awaiting editing, and I have begun a prequel to my first novel. I owe it all to indie author collaboration and sharing the love of writing. OVER TO YOU Have you had a similar experience to Elaine? How did you revive your passion for writing and your practical writing habits? We’d love to know.